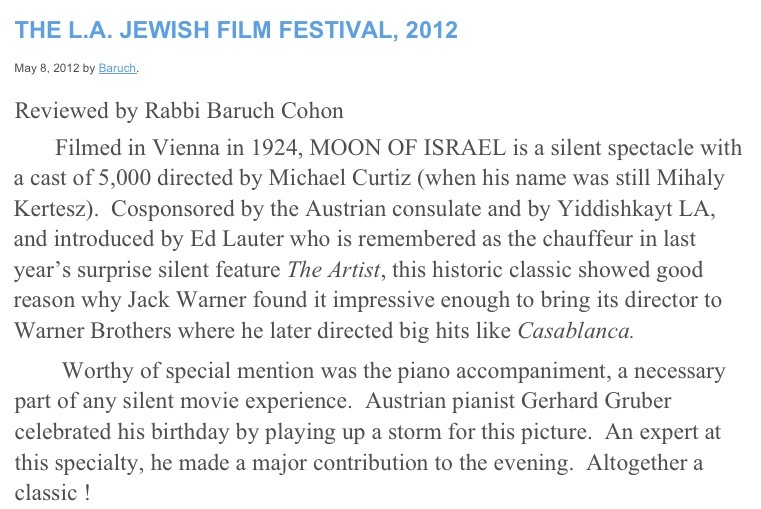 Silent Movie Pianist Gerhard Gruber (Austria) was invited by the "Los Angeles Jewish Film Festival" to perform "Moon of Israel", directed by Michael Curtiz, at the "Saban Theatre". Thanks to Hilary Helstein for inviting me. This performance has been supported by the Austrian General Consulate in Los Angeles - thanks to Andreas Lins. 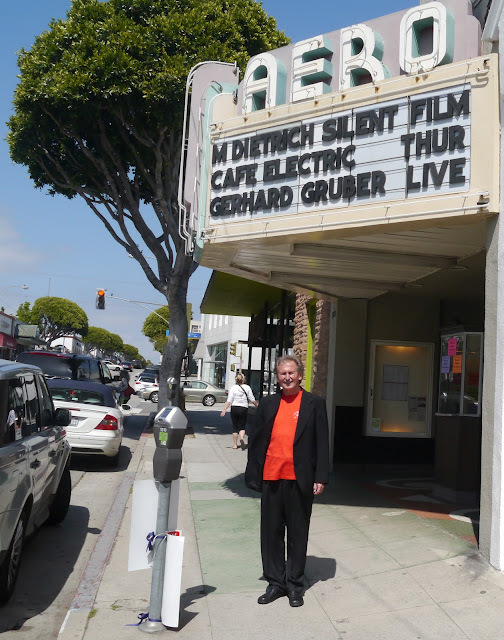 "American Cinematheque" brought Gerhard Gruber to the "Aero Theatre" for playing "Cafe Elektric" as a tribute to Marlene Dietrich (20th anniversary of her death on May 6). 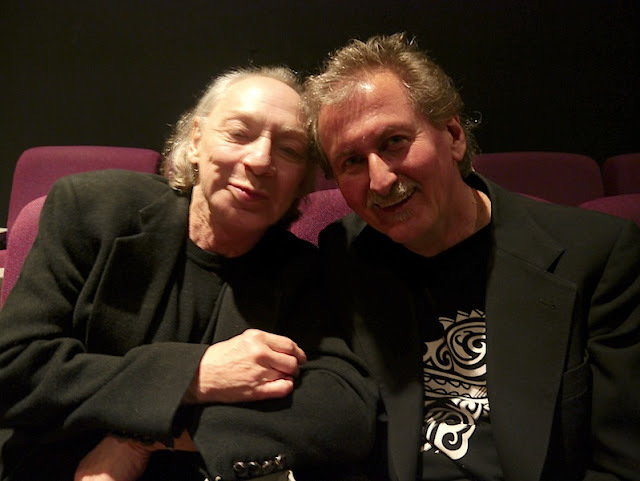 Thanks to the "American Cinematheque" for inviting me (Gwen and Beth), to Don and Sandy for their warmhearted hospitality, and to the Filmarchive Austria (Ernst Kieninger) for support. 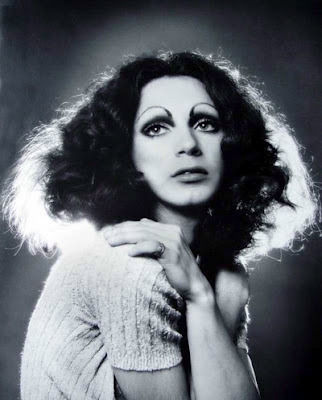 Nach der Aufführung lernte ich Holly Woodlawn kennen. 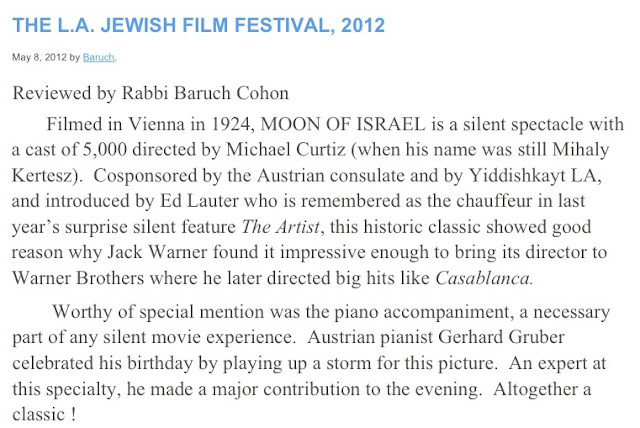 Director of the "Los Angeles Jewish Film Festival"
Thanks for inviting me, Hilary! Danke für deine Unterstützung, Andreas! Harold Lloyd, ich steh auf dich! Gerhard Gruber is an Austrian composer and piano player. 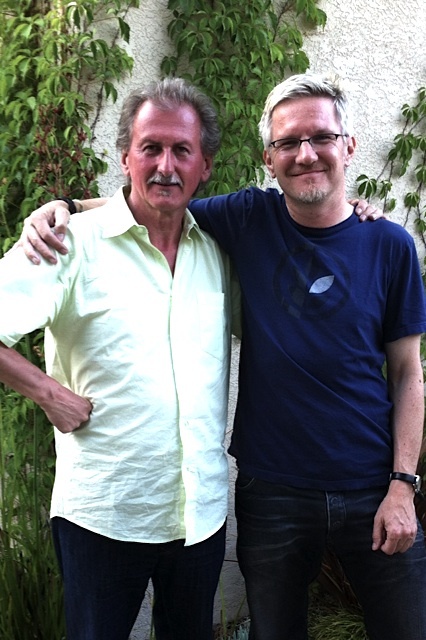 As accompanist for silent movies he has become the leading authority in Austria since 1988. The silent movie artist has performed for about 450 different films (Mumbai-Pune/ India/ 2012, Washington-Los Angeles/ USA 2011, Delhi-Pune-Goa/ India 2011, Tokyo 2006/ 2007/ 2008, Hobart/ Australia 2007-09, Rotorua/ New Zealand 2008, Padova, Motovun Film Festival 2007, Cineconcerts Bordeaux 2005, Filmfestival Pisek/CZ 2009/11, Filmfestival Uherske Hradiste 2009/11, Viennale 1999-2004, Munich, Hamburg, Diagonale). As a basic principle he appreciates improvisation for his work as a silent movie pianist, which he regards as best way of a direct and always new dialogue between the events on the screen, the music and the audience. So no performance resembles the others. Gerhard Gruber likes it to be enticed by the films again and again and to pass on these feelings to the audience. Cit. : ´For me the feeling of being amidst the events of a film story has been undescribable exciting from the first moment and is unchanged until today. This guarantees the liveliness and vibrancy of each performance. In case you've watched The Artist and want to indulge more in the films of yore, when talkies were still a novelty and cinema completely silent, then head to the NCPA for the screening of Cafe Elektric on Wednesday. Made in 1928, this silent Austrian classic by Gustav Ucicky is among the top rated acts of popular actress Marlene Dietrich. However, this isn't just any other screening. If it were, then we'd have suggested that you watch a DVD. The screening will be accompanied by a performance by Gerhard Gruber, regarded as one of the world's leading silent film pianists. Gruber will compose and play music while he watches the film with the audience. 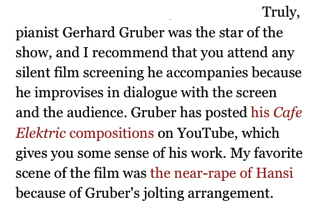 Possibly the most unique characteristic of Gruber is that no two performances of his are ever the same. He believes in spot improvisation in his work every time he performs, since according to him that is the best way of a direct and continuous dialogue between the screen, the music and the audience. 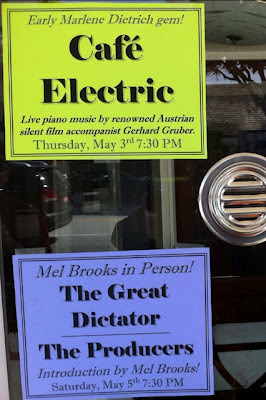 As Ilse Aichinger, the grand dame of Austrian literature had once succinctly put, "Those who listen to Gruber play the piano can once again trust their own breath." Gruber's modesty is also considered to be one of his greatest assets. According to many, his music is neither an exaggeration of the film, nor the "digestible-making" of an "old-fashionable" artefact. His music, far from being a simplification of existing work, is a partnership that never becomes boring. Having worked as a pianist for screenings of over 450 different silent films across the globe, he admits that spreading the joy of silent movies accompanied with his piano pieces isn't easy. Coming to the defence of silent films, he says, "There is nothing missing in silent films, it is just a different kind of movie. The pictures are more beautiful and more interesting, because the focus is more on gestures and on expression." 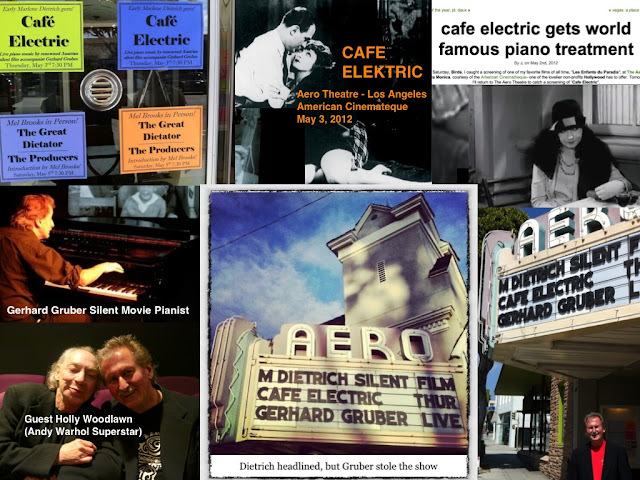 Gruber says, "Cafe Elektric is a favourite. I have a special love for it, and I also composed the music for the movie's DVD." Set in a cafe in Vienna, the film tells the story of Erni G ttlinger (Marlene Dietrich), the daughter of a rich construction entrepreneur (Fritz Alberti), who gets attracted to a pickpocket, Herr Fredl (Willi Forst). Meanwhile, another important character in the film, a young engineer named Herr Max St ger (Igo Sym), who assists G ttlinger, finds himself unable to focus on work whenever a young lady (Anny Coty) is around. If you are a cinema and music buff then you wouldn't want to miss this event. He doesn’t wear a Viennese medal of honor, nor does he create a commotion in the parliament and cause guessing games like Michael Jackson. Gerhard Gruber, composer and musician (“the piano player” as I know him), comes from the barren landscape of the Muehlviertel. He improvises on the piano to the silent films in the triangle that I often move in: between the Metro-Kino, the Breitenseer Lichtspiele, and the Filmmuseum—not Bermuda, but still a place where you can safely disappear. He is the one who first makes each film possible and, at the same time, unnecessary. Those who have seen his hands move on the illuminated keys might even risk forgetting Chaplin to boost their memory of him. In letting yourself go, should you ask how much you have to let go? For Gerhard Gruber that isn’t relevant. Composing is an intellectual act. As he explains, improvisation is an act of love. “It wouldn’t surprise me if my playing changed the film.” And would this man—someone who knows how much the pictures have lost through dialogue cinema—sign a “petition against the talkies”? “I am still breathing the air, but I don’t know what I should do with it,” stated E. M. Cioran. Those who listen to Gerhard Gruber play the piano can once again trust their own breath. ... And Der Typ vom Grab nebenan (The guy in the next grave) (today at 6 p.m. in Cine-Kino)? You should help him out of there and quickly bring him, together with the others in danger of apparent death, to Breitensee, to Gerhard Gruber. First published in: Die Presse, 12 March 2005, as “Der Filmerzieher.” Translated by Lisa Rosenblatt.